Finding your way around Facebook’s advertising and promotions system can be, to put it bluntly, a monumentally difficult task. 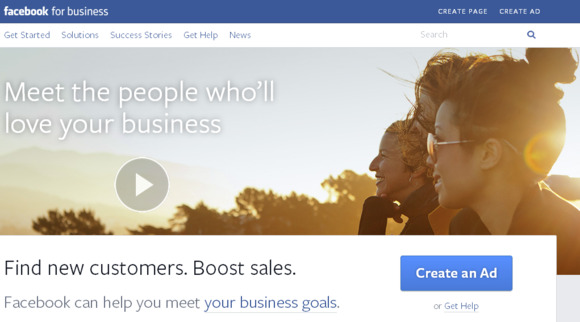 Finally recognizing that fact, the company has streamlined the process to some extent by creating a new portal, Facebook For Business, which outlines in detail how all of its marketing tools work. It is specifically designed to bring smaller businesses—which are likely the ones most baffled by the complexity of the Facebook ad system—into the fold. The site will now also be the destination where news about Facebook promotional offerings will be shared. The overall focus of the site is to help businesses decide what kinds of advertising are best, depending on the goals of the organization. For driving in-store sales, Facebook recommends targeting customers based on geographic area and demographics, and drilling down into their stated interests and “likes” in order to maximize your marketing dollar. For online merchants, the site suggests using its “lookalike targeting” system to promote advertisements to customers who are similar to your existing audience. All of the various ad options and how they work are outlined in detail under the “Solutions” menu item. No matter what your marketing goals are, Facebook doesn’t just spend time stumping for its promotional offerings. It also includes general (non-advertising) tips on optimizing your page, thinking about your audience, and considering the type of content you post. For businesses in a number of specific, vertical industries (automotive, gaming, financial services), Facebook further refines its advice on how best to leverage its offerings. Best of all, this information is presented in a casual, easy-to-follow style, with plenty of links to take you to the tools that Facebook recommends. Lastly, Facebook has a failsafe if you still can’t find your way to a promotional product that works for you. Click “Get Help” and you’ll get access to the phone number for a “real, live person” at the company who can guide you through the marketing maze. Don’t forget to scroll down to the bottom of the page and sign up for the Facebook Start to Success program. This will give you four weeks of phone support and $50 in free ad credits.